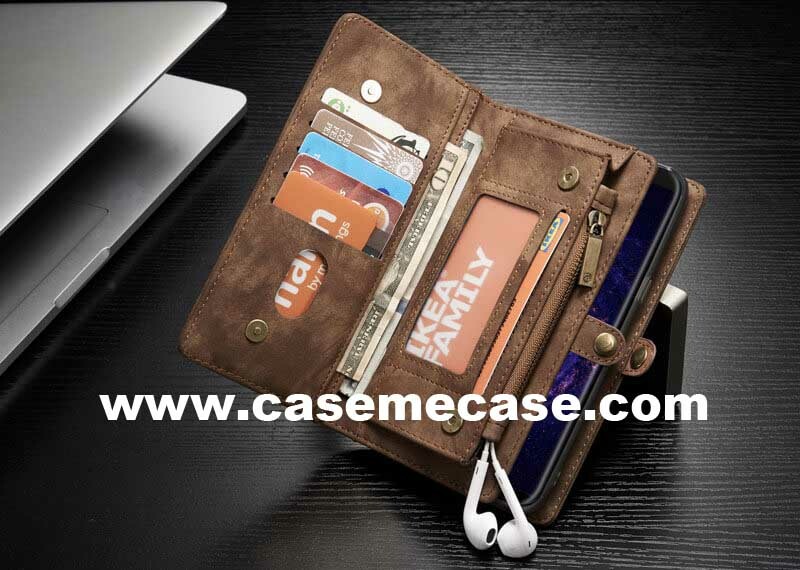 Wallet cases are among the most popular Samsung accessories out there. We’ve rounded up several cool and stylish options for the Galaxy Note 8 that can hold all your cards, cash, and ID in one place. The Caseme wallet case brings luxurious vibes to your Galaxy Note 8 on a budget. Made from synthetic leather. Black, red and brown are the three available colors. It has a soft micro-suede lining that will protect your iPhone from scratches, as well as two card pockets and an ID window. Handy landscape viewing mode is also available. The case has been specially designed for the Samsung Galaxy Note 8, so you are giving the best possible fit. Underneath the sturdy leather-style casing is a strong PC and TPU frame that will keep your handset safe and protected. All necessary cut-outs are provided for all functions, such as camera, charging port, headphones and speaker.